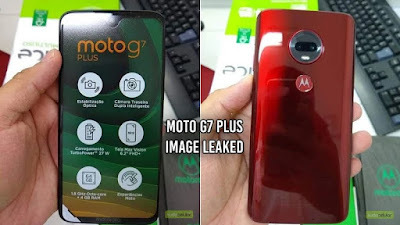 In its red colour variety and retail packaging, the latest Moto G7 plus release by TudoCelular in Brazil claims to show the Moto G7 Plus. The hands-on photos of the Moto G7 Plus reveal that the upcoming smartphone has a thin bezel teardrop and a twofold rear camera module setup. The recent leaked pictures of the Moto G7 Plus are aligned with a trio of supposed practical images of the upcoming smartphone and press displays that appeared earlier this month. When you discuss other details uncovered by the new series of leaked images, the packaging sticker on the forthcoming smartphone display shows support for a fast-charging TurboPower standard of 27W. The latest leak did not show the battery capacity, but the smartphone is supposed to be fitted out with a 3,000mAh battery, according to the alleged accidental Moto G7 Plus listing in the official Motorola website. 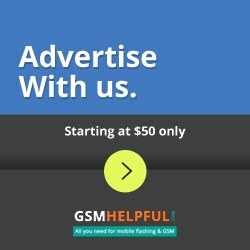 Another important piece of information revealed in the fresh leak is that the Moto G7 Plus is supported by a two-phase rear-camera setup optical image stabilisation (OIS) which would consist of a 16-megapixel primary sensor with a f/1.7 lens and a f/2.2 secondary5-megapixel sensor. Furthermore, the branding film on the front panel for Moto G7 Plus reveals that the Moto G7 Plus is equipped with a octa-core processor, the Qualccom snapdragon 636. The display will be a full HD+ (1080x2270) resolution 6.2-inch Max Vision panel. The Leak also shows that Motorola could also be placed in the Moto G7 Plus' retail box with a transparent silicone protection cover. No mention is given of the price, but it is reported that the smartphone costs around EUR 360 (approximately Rs.). Mark 29,300. All this is verified when Moto G7 Plus is launched at the event on February 7 along with Moto G7, Moto G7 Play and Moto G7 Power. This information is also available on the website.